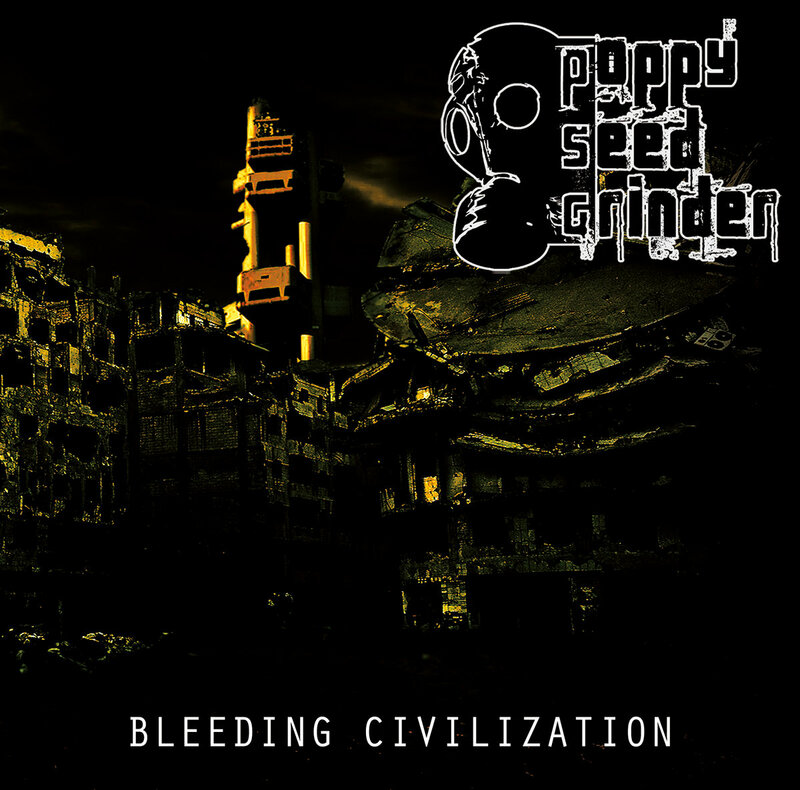 Poppy Seed Grinder edition 2009. Dharm and Honza are ready for concert 20 years of Poppy Seed Grinder!!! Our celebration concert coming soon!!! So, we play in practice room with drummer of Halalí band Jirka Dohnal too!!! Concert to support wheelchair rugby!!! Saturday 2.9.2017 - Modrá Vopice, Prague!!! After a long time, other reviews of the current Bleeding Civilization, this time on the German web Possessed Magazin!!! Sunday evening we will play at Modrá Vopice in Prague!!! This Friday we will play at Symbolic Festival!!! BLEEDING CIVILIZATION - NEW VIDEO IS OUT!! We're just finishing a new video for the title track of our current CD Bleeding Civilization. We will introduce the video on Monday May 15, 2017 at our YouTube profile. Review from Norwegian web ETERNAL TERROR!!! Review from austrian web Metalunderground.at!!! We have big A2 poster in Pařát Magazine.